Shred Nations is one of the leading providers in home and business data protection through document and electronic media destruction. We have an extensive, nationwide network of local service providers that have years of experience in securely shredding your confidential documents and old, electronic storage devices. For more information on what exactly our destruction services entail, as well as our specialty services in varying industries, use our resources below. Our in-depth articles cover everything from tips for your business on data protection and document destruction to the requirements for differing industries. Our blogs are regularly updated with the latest trends and news in data destruction, including informative articles, infographics, and videos. Find the answers to our most commonly asked questions in this section. If you have further questions beyond the scope of our FAQ section, give us a call at (800) 747-3365 and our representatives will be happy to help. 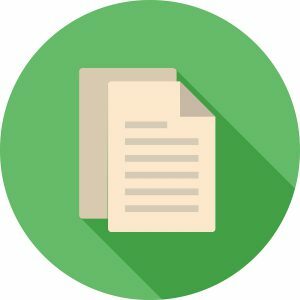 If you’re looking for industry-specific tips to common practices on document destruction, our Industry Related articles are the perfect resource. Document shredding services work to keep your personal information protected. Shred Nations finds local destruction services based on your location to securely and conveniently shred away your papers, eliminating risks of data leaks and identity thefts. For free, no-obligation quotes in minutes, fill out the form on the right or give us a call at (800) 747-3365.